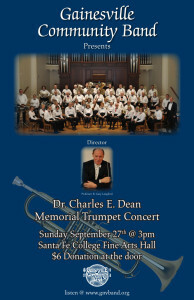 Dr. Charles Dean (1929-1992) was a founding member, principal trumpet and president of the Gainesville Community Band. 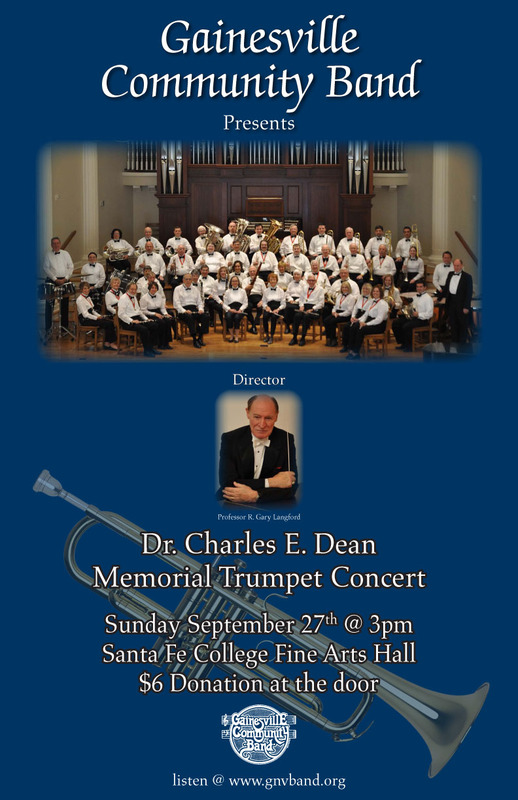 Each year, the Band plays a concert in memory of Dr. Dean and awards a trumpet to an outstanding Alachua County middle school student musician. 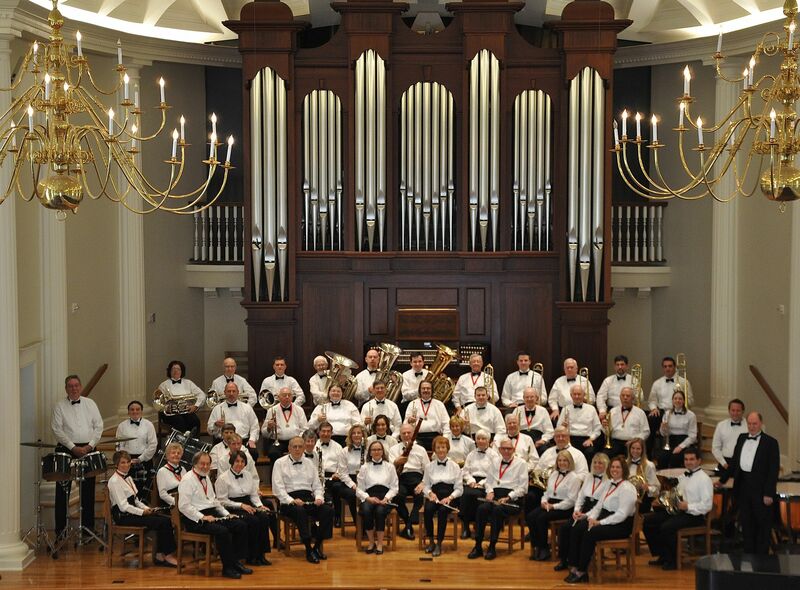 The trumpet, donated by Hoggtowne Music, 5200 NW 43rd Street, Suite 503, means that a middle school band student will learn and enjoy music on a quality instrument, making practice and performance a rewarding experience for years to come. This will be the 24th year that award has been given.